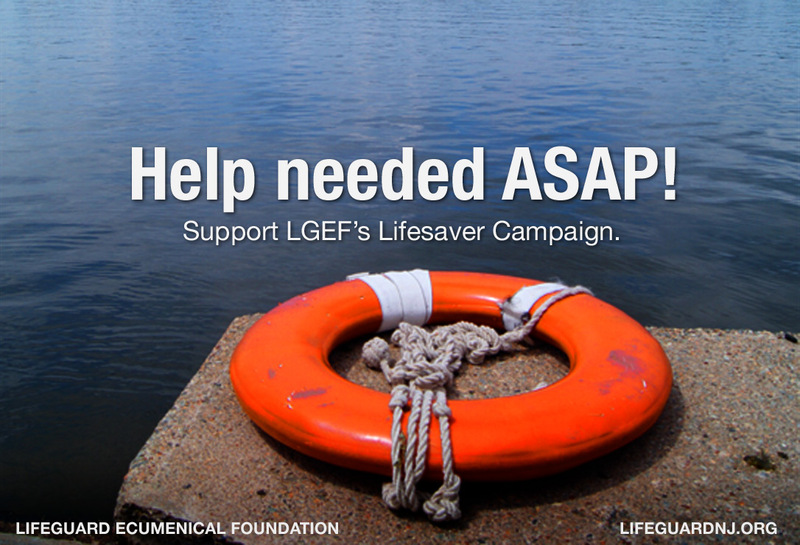 Life Guard Ecumenical Foundation (LGEF) is currently raising funds to help a Red Bank man in desperate need of assistance. Urgent assistance needed! Please donate by Wed., August 14, 2013. In 2012 this man lost his full-time job, his health benefits and his housing. Additionally, he has had to deal with the passing of his father and his own failing physical health and onset of depression. While able to find small jobs, they do not provide sufficient hours or pay to cover all of his expenses. It has been difficult for this hardworking and caring individual - known more for helping others less fortunate than himself in the Red Bank community - to make ends meet. Please put yourself in this man’s shoes for a moment, and consider a donation of any size to LGEF for this campaign, and LGEF will match your tax-deductible contribution dollar-for-dollar (up to a maximum of $1000). Due to the time-sensitive nature of this effort, we are asking that all donations kindly be made by mail or online by Wednesday, August 14th.